Google is starting to phase out support for Microsoft's Internet Explorer 6, following the aging browser being identified as a weak link in recent cyber-attacks against the search giant. 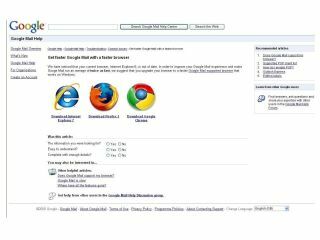 As of 1 March 2010 Google Docs, Google Sites and a number of other Google services will no longer work "properly" with the browser and Google is recommending users upgrade as soon as possible to a newer version of Internet Explorer. The news follows recent cyber-attacks, in which hackers used a flaw in IE6 to access the Gmail accounts of Chinese human rights activists. Both the French and German governments advised their citizens to switch to a different browser until the IE6 issue had been resolved. For its part, Microsoft has pledged to support the browser until 2014, despite many claiming that IE6 is holding the web back. According to web analytics company StatCounter, Mozilla's Firefox is gaining ground rapidly on market-leader Internet Explorer in Europe, now having 40 per cent of the market compared with Microsoft's 45 per cent share.